Do Buddhist Monks Know Kung-Fu? Buddhism has gained a lot of followers over the past decades. More and more people are attracted to this religion which seems to have the key to happiness. Westerners, born in totally different cultures feel they have to embrace this new lifestyle, as they seek for peace and love. Instead, the society gives them to war and an endless fight to be the best, to survive in the urban jungle, and to bring home enough money to feed their families. All these people take the philosophy of Buddhism and adapt it to suit their needs and their personal lifestyle. They can’t give up all their properties just yet because they don’t know how to live without their comfort and their material possessions. However, there’s another side of Buddhism, the one that can’t be seen in the western civilization. There are people who are so committed to bringing peace in their souls, that they accept to leave everything behind them to become Buddhist monks. They live in monasteries, they prey and they preach Buddha‘s teachings to others. They are the ones who have manages to make peace with their inner self, the ones who live without envy, greed, anxiety and anger. They are simply happy, and their biggest wish is to help to spread happiness all over the world. Some of them have become monks after living a life of luxury and parties, just like Buddha himself. Others have embraced this religion during their childhood. Whatever their walk of life, they are all trained to be kind rather than to be right. Under these circumstances, it would be interesting to know if Buddhist monks know kung-fu. In order to elucidate this enigma, you have to go back in time to the era of Shaolin monks. 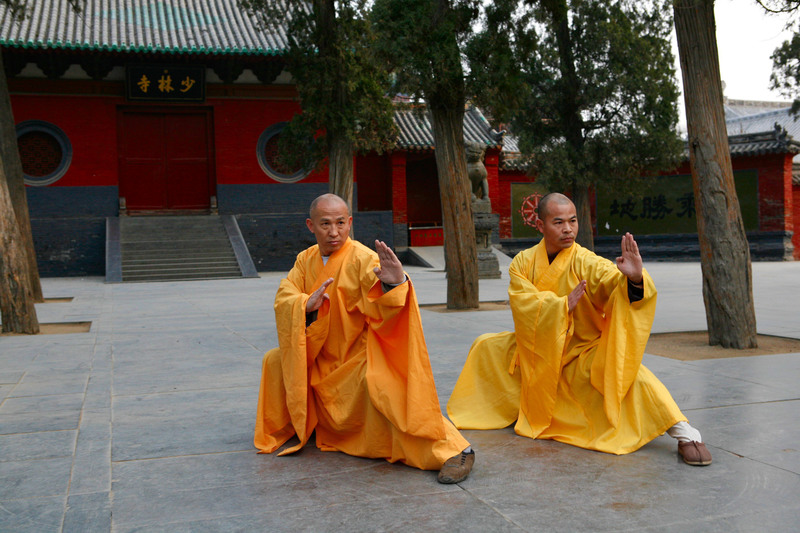 You may discover amazing facts that lead to the point that Shaolin monks had lots of Buddhist philosophy elements in their code of conduct and lifestyle. As they were also great in martial arts, it wouldn’t be surprising to discover they actually practiced and taught kung-fu in their temples and monasteries. A monastery may seem to be a holy and peaceful place. While this is true, it is also true that monks have to know how to defend themselves and their assets in case of trouble. They need to be able to survive in a tough world, full of criminals of all sorts. 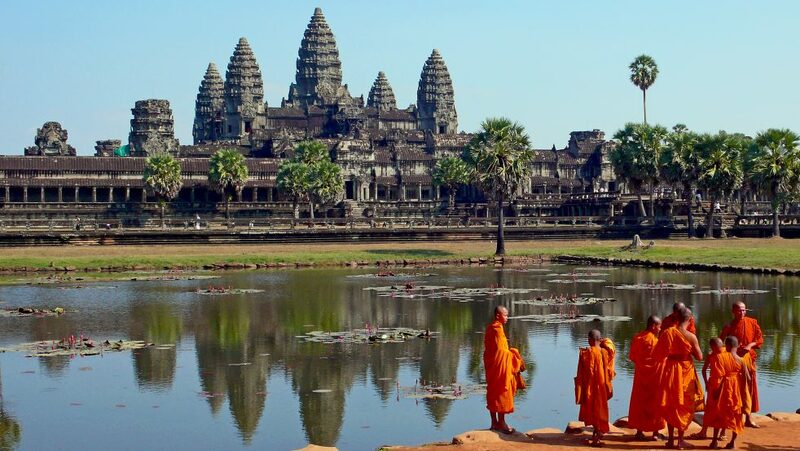 If these monks didn’t have any weapons or fighting skills, they wouldn’t have lasted for so long. As martial arts were widespread across China and the extreme orient, we can safely assume monks of all ages and religions had the ability to fight. However, they were only using these skills for defense purposes, as they weren’t interested in leading holy wars like the adepts of other religions in the history of humanity. On the other hand, they couldn’t afford to allow their monasteries to become easy targets for burglars and vandals. They needed some effective weapons and fighting tactics. As kung-fu is one of the martial arts that best fit this profile, it wouldn’t be surprising to discover that Buddhist monks were among the best fighters. Even though they want peace, they also want to be left alone to live their life as they wish, without anxiety or fear. When you can’t defend yourself and your shelter, it’s very hard to leave anxiety behind you. Only strong people are able to be calm and serene no matter what. These monks are so calm and peaceful that they surely know the secret kung-fu techniques of their ancestors. If you don’t believe it, go read some history books, and see for yourself. While many people believe Buddhism is just another religion, there are some who swear by it to be a lot more than a simple set of beliefs and rituals meant to worship a god. Nobody can actually know why Buddhism seems to be more a life purpose rather than a religion, but those who are interested to discover it should consider taking some in-depth studies. Over the past decade, Buddhism has gained quite a big number of adepts in western countries. This may seem unusual, but in fact, it is nothing else but the consequence of a hectic lifestyle that leaves very little room for personal reflections and meditation. People feel the need to know their inner self better, but most of the fail to find the time to sit, relax and meditate to all things that really matter. They don’t know what matters anymore. They are confused and puzzled by the difficulties of life, by all financial problems they have to overcome each and very month and by the lack of compassion people around them display. All these people hope to find answers to their most difficult life questions. As these answers are very hard to find, they try to make use of whatever seems to be working well for others. Buddhism appears to be working just fine for its adepts in the oriental world, so there’s no wonder all the rest of us want to feel enlightened just like our Easters friends. Unfortunately, modern materialistic societies and the doctrine of Buddhism don’t have too much in common. Very few of us are ready to give up their material possessions and try to gain a deeper understanding of the human mind. Since we need money to maintain our current lifestyle, we can’t afford to meditate and to enjoy life to the full. We are too busy to earn more, to climb the social ladder and to strengthen our position in our communities. We need this money because we want our children to have the highest quality education possible, and that’s not free. We need money to buy the comfort that enables us to be creative and to do more of the things we like. Unfortunately, this money madness takes over our life, preventing us from doing what we really love. 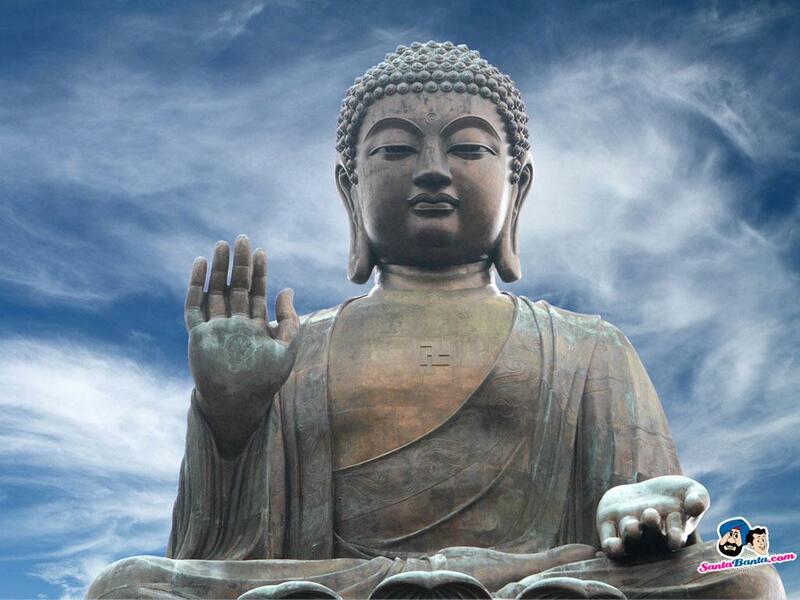 As a matter of fact, Buddhism has started after Buddha spent the first part of his life in wealth and luxury. Born into a royal family, he had to reach the age of 29 to realize that luxury and comfort don’t guarantee happiness. During six years, he studies various teachings and philosophies of different religions, and he came to the conclusion that there was a path to the enlightenment, but that didn’t consist of accumulating wealth. Since then, he spent the rest of his life trying to show others the way to happiness. It appears Buddha was right. We are all able to reach a state of happiness by developing love and peace within ourselves. True Buddhism is tolerant of all other religions and beliefs. 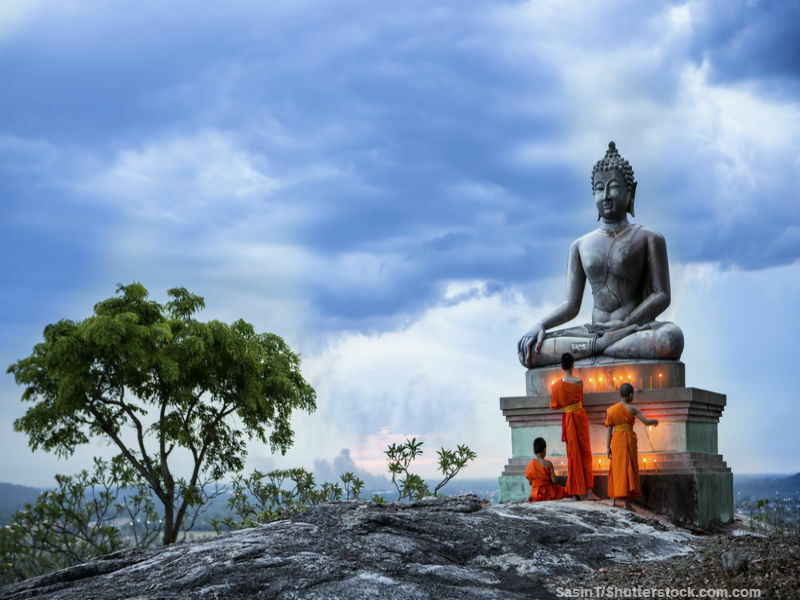 As a matter of fact, there are multiple branches of Buddhism, as it has been understood and implemented differently in various parts of the world. This makes this religion and this way of living unique and glorious. If you want to understand it better, you should try yo find yourself a Buddhist mentor and follow his teachings. Spending time in Buddhist communities can also help you find your personal path to enlightenment and happiness. If all people would do like you, this could be the end of all wars on our planet. 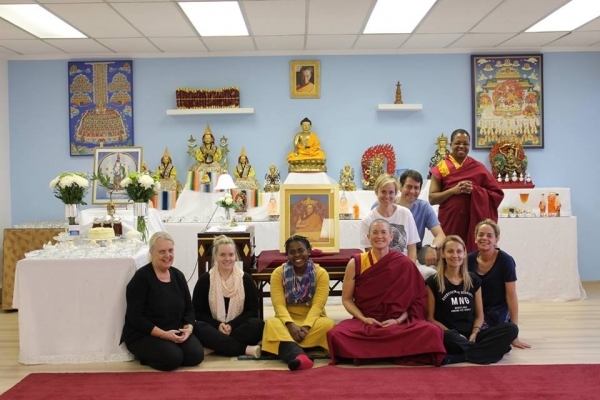 Retreats are a great way to initiate a personal exploration of Buddhism and also on yourself. 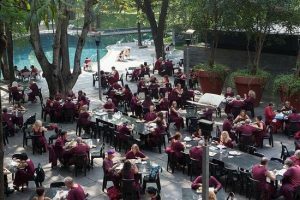 There are thousands of Buddhist Monasteries and dharma centers that have sprung up in the west and offer many kinds of retreats for Buddhist. There are workshop retreats that focus on Zen art such as Kung fu, retreats for silent meditation and families retreats. 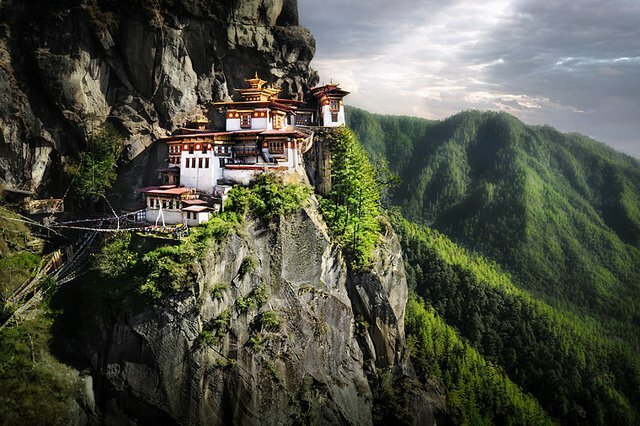 Below are 5 of the world best Buddhism retreats. 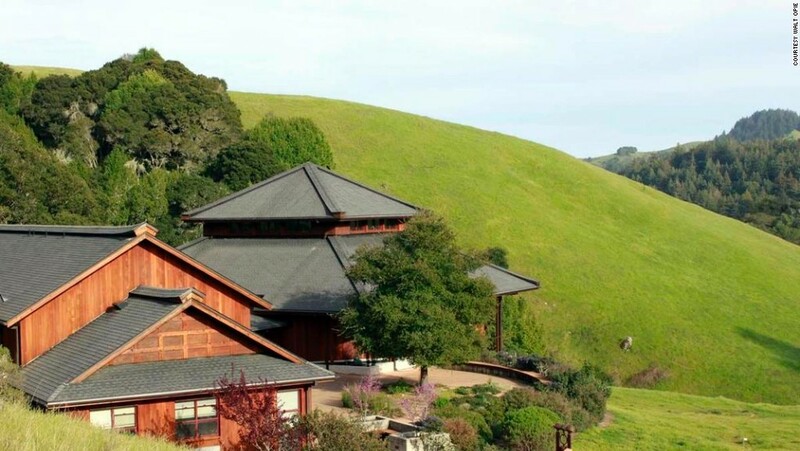 The meditation center is in Marin county. Native Americans used this land to perform spiritual rites. 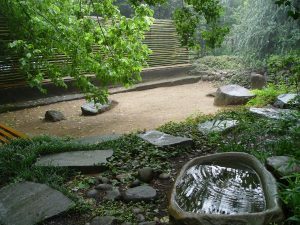 The center hosts a full program of a day long and residential retreats that are held throughout the year, run as long as two months as well as the classes that explore the themes of meditation and its relation to life in modern society. People go for the healing of the heart or healing of the body. Others may go when they are in life transition and need to listen deeply to what is the next thing that is asked of them or even how to deal with some changes in their lives. When people walk in nature they get to listen to their own breath and their feelings and through this they grow a sense of stillness and clarity. The guests normally look 10 years younger after a week of retreat in Spirit Rock. 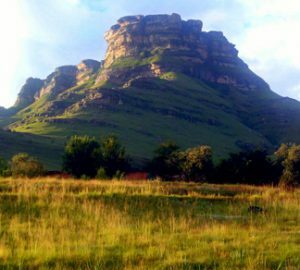 The centre is just 90 minutes drive from Durban. It is located in Lxopo. The former president Nelson Mandera awarded the center, National heritage status because of using environmental friendly approach to using indigenous plants and helped to save the endangered species of Blue swallow. 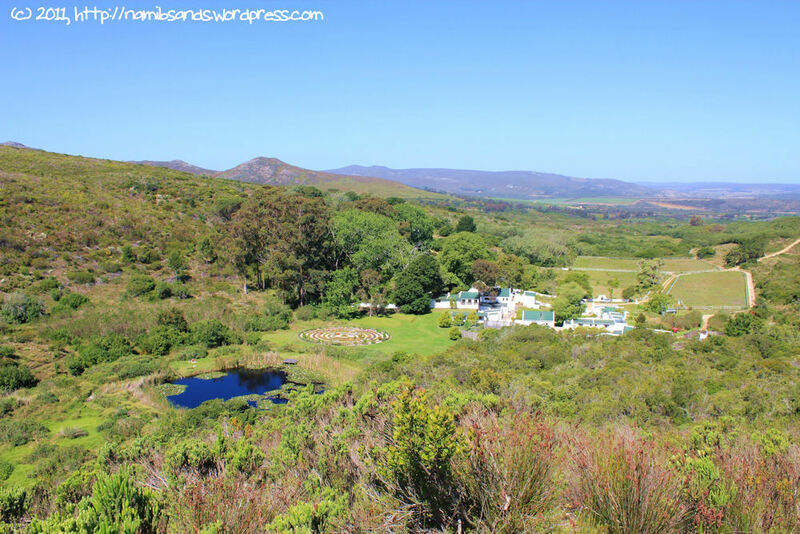 The centre is perched a top ridge overlooking indigenous valleys, rolling hills and forest. 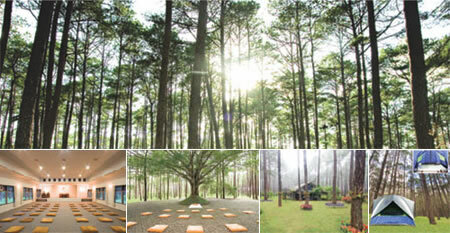 People of all types go to this retreat center to experience peace and tranquility. This place offers a gentle and sympathy to ensure that you are still and you get in touch with oneself. People who enjoy solitude and want to escape from the modern world, this Buddhist centre is the place to visit. The centre for mindfulness is located Dingle Peninsula. The classes and retreats are based on mindfulness meditation and stress reduction. They usually intergrateNye and Tibetan healing yoga. The longer treats are residential and you spend mostly in silence. The meditation includes lying down, walking, and sitting. They also practice loving kindness as well as compassion practise in some of the retreats. Londolozi is a private game reserve in the Greater Kruger National Park region of South Africa. It is a luxury hotel renowned around the world for it’s spiritual connection to nature. Londolozi offers a number of spiritual activities during their guests’ stays, including yoga practise and meditation. The centre is surrounded by lush tropical forest and rolling green hills in the northeastern. 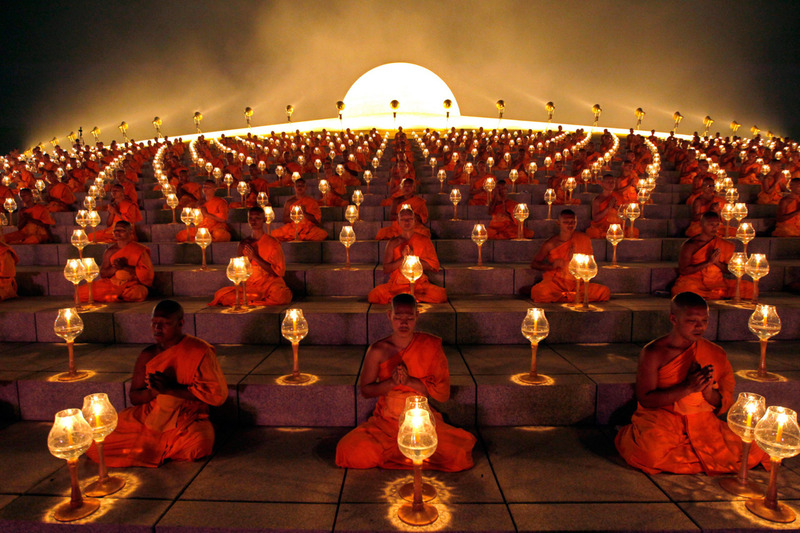 The practice is centered around Dhammakaya which focus on the centre of the body to have consciousness. It has outdoor and indoor meditation space, outdoor dining. In the centre, guests are required to avoid any destructive behaviour, for example, killing a mosquito. Here many people reconnect with themselves as a part of meaningful life. 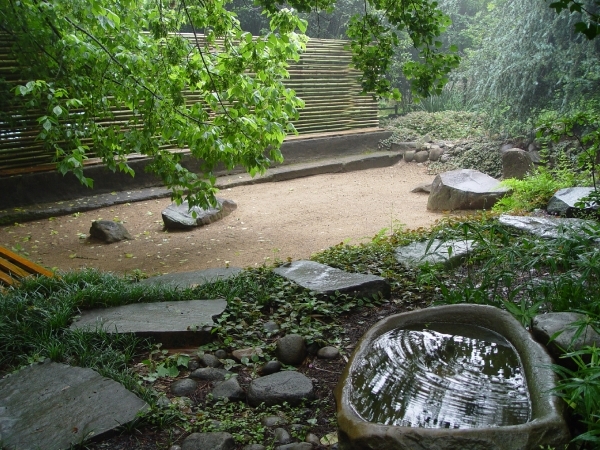 The resort includes extensive Zen gardens, meditation auditorium and seminar place. They focus on active meditation. Following Osho beliefs., guest are required to wear dark red robes. For those who believe, Buddhism and its practices offer a wide range of ways to grow as a person, in this and future lifetimes. Though these principles originated in the Indian subcontinent, a growing number of Buddhists are finding the equally ancient and diverse lands of the African continent to be quite conducive to their spiritual growth. Here are the 5 best Buddhist retreats in Africa. Built in North West Province, about 100 kilometers northwest of Johannesburg, Emoyeni is a Buddhist retreat in South Africa that is a registered non-profit organization that is built into the northern slopes of the Magaliesberg mountains. 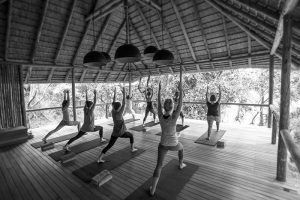 Built around Buddhist principles and meditation techniques, the retreat offers a wide range of options for people seeking to refresh their spirits. They welcome all people, Buddhist and non-Buddhist alike, to their retreat, which is built around the idea of creating an atmosphere of peace and tranquility. The retreat is free from distractions such as televisions and video games, and there is a deep preference for functionality over luxury at Emoyeni. A retreat package there can accommodate up to 14 guests and comes with three lactovegetarian meals, as well as fresh linens. People can stay for a wide range of times, be it a day, a weekend or a longer stay for those who wish to truly take the pressure off. 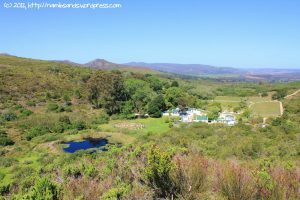 Built inside the Baviaans Fonteyn Farm area, the present owner of the area, Georgina Hamilton, has converted the old buildings and landscapes into a sanctuary for those who wish to experience spiritual renewal on the Cape. Likewise intended to run on Buddhist principles, these principles suffuse the retreat’s business principles. They work to honor Buddhist principles of non-harmfulness, offering vegetarian food to all catered retreat packages. They provide fresh mountain spring water that is safe to drink and handcrafted gifts such as all natural incense and cosmetics. 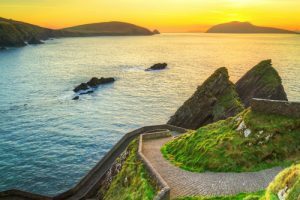 Though mobile phone reception and limited wireless internet are available, the area is otherwise free of modern distractions. During retreat periods, however, Bodhi Khaya generally can not accommodate children on the premises. Additionally, they can not accommodate pets and be feeding the local baboons is against the retreat’s policies as these animals are best left in peace. Another mountain retreat, Dharmagiri is built near the uKhahlamba mountains (also known as the Drakensberg mountains in Afrikaans), this retreat offers not only a Buddhist spiritual retreat but a connection to the land itself through the use of ancient rock paintings of the San people that date back upwards of 40,000 years, an area inhabited by human beings longer than even the Himalayas Prince Siddhartha first shared his doctrine on. A non-profit charitable organization (Section 21), Dharmagiri (“Sacred mountain” in Sanskrit) exists to support the study and practice of the core principles of Buddhism, as well as supporting interfaith efforts at education and conversation. They offer a number of retreats at different times of the year, and retreats begin around supper time (roughly 5 PM) on the starting day and end around noon on the end day. Retreats run from a single day to up to six days, though the schedules and subjects of these retreats are liable to change. 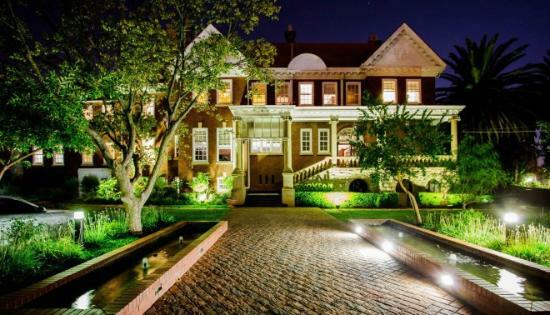 Located in in the suburbs of Johannesburg, the Vajrapani Centre offers a retreat for those who wish to better understand the Buddhist way of life in the suburban world. Offering regular meditation classes and group meditations and prayers for adults and children alike and a beautiful meditation room lined with small shrines, the Centre also offers a wide range of courses and study programs for those who wish to learn about Buddhism, be it as believers or those who are simply curious and open minded about this ancient faith. You probably will not need a cellphone while on the retreat as it is a good idea to go on a digital detox. However you will need a South African sim card to organise your transport, such as Uber and plan and connect to your follow on destinations. Located in Ixopo in KwaZuku-Natal, this retreat is located in a valley with an entire vista showcasing the natural world of South Africa. A 300-acre property with a wide number of paths through a diversity of sights and other sensations, the BRC has a year-long schedule of retreats for those who need to be refreshed. These retreats cover a range of topics, from combining Buddhism with the arts to training people as Buddhist teachers.